That was the page. That was it. You’d think these are guys who have the ability to do fancy graphics, fancy animation, anything and everything you can imagine. I happen to know that they tested a longer page with bullets, an image of a PDF that they were giving, a header, a logo, the whole nine yards. But the super simple landing page was the page that worked. When I contacted one of the guys, he told me that when they radically simplified the landing page, the bump in response was massive. It was an all-white background, with no logo, and no header. It’s amazing, but that’s why you have to test everything. And testing everything is when you discover that simple usually wins, nine times out of ten. Want our MFA experts to analyze & critique your funnel and show you exact steps to boost your performance fast? 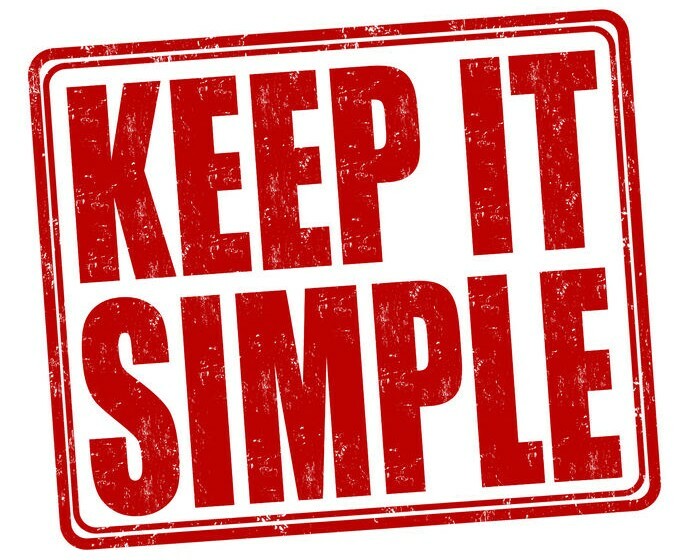 Keeping things simple is also a great way to tell if you have an idea, or a hook, that is crystal clear and compelling. If you feel you need to elaborate on it, then it’s probably just not good enough. You should be able to have a headline, a pre-head, and a button, and that’s it. Then you KNOW you have an idea and a hook that work! It’s worth considering having a control landing page that is incredibly simple like this. It is especially great for cold traffic. It’s possible that you are in an industry that involves specific laws, like investing, and your prospects need to know you are providing a legitimate service and they won’t get in trouble. In this case, they come to trust the logo, and there is something particular about your brand that is important. But most of the time, people don’t care much about your logo. So don’t be afraid to test leaving it off your sales page, along with lots of other extra stuff! When it comes to referred traffic – that is, coming from a landing page offered by someone else – the best thing is to have a little blurb on the landing page from the referrer. Take it up a notch and put Jane’s picture on the page and include a positive quote from her (about you and/or your product) next to her picture. This is basic direct response marketing stuff, from offline marketing. It’s like an offline “list letter”. A list letter is included with a long-form sales letter that arrives in the mail. It comes from someone the prospect or customer already knows, likes and trusts. And in front of your sales letter is a smaller piece of paper that says, “From the desk of Jane Cooper”. Just like in this offline marketing tactic, you are putting Jane Cooper’s picture and quote on a landing page that is then shared with her list. In both cases, you are borrowing her name and reputation to promote your product. Like I always say, don’t just follow the crowd. Go ahead and “zag” on your landing page if everyone else is “zigging”. Try something new. Test it (of course!) and go with the winner.